The objective of this work is to automate the conventional power hacksaw machine in order to achieve high productivity of work-pieces than the power hacksaw machine using Double hacksaw blade. The operator need not measure the length of the work-piece that is to be cut. The machine feeds the work-piece with the help of a shaft, which is driven by a DC motor . An DC motor is used to bring about the reciprocating motion required for cutting the work-pieces. 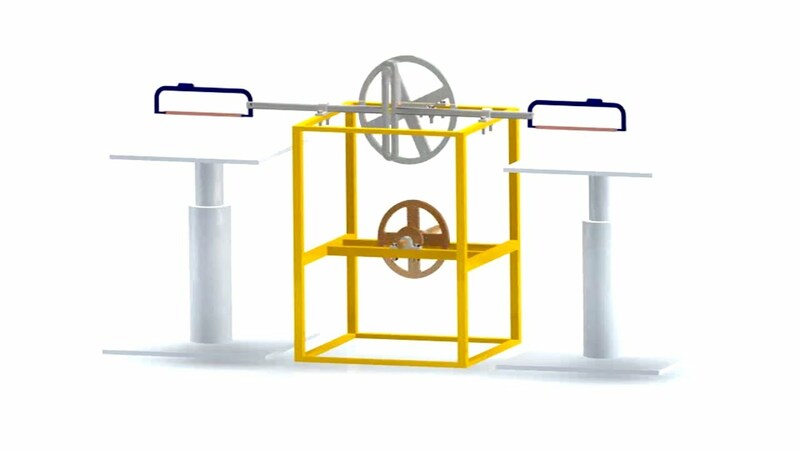 With the help of this multi-way power hacksaw machine the four metal bars can be cut simultaneously to get high speed cutting rate and to achieve mass production for maximum profit in related companies. This project is very much useful and easy to install by user.  Weight of machine is less.  It reduces the work of labor.  Easy to make because of simple construction.  Easy maintenance and maintenance cost is less.  It resists all atmospheric effects.